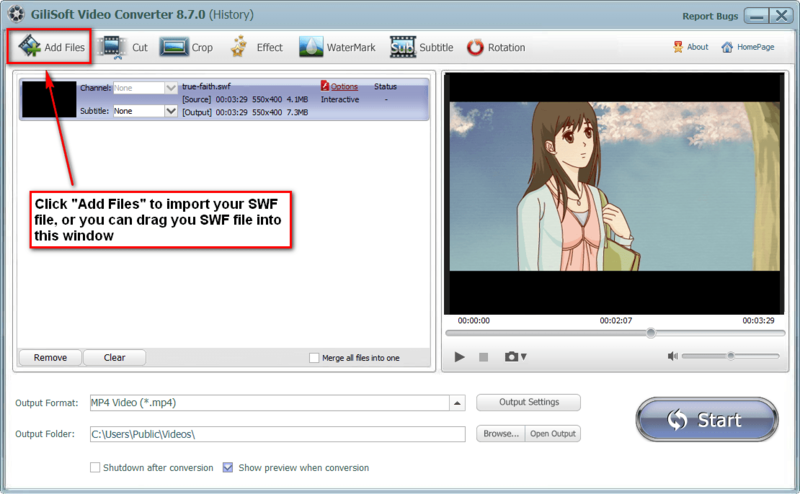 How to Convert SWF to MP4? We all know that SWF files can be only played back with Adobe Flash Player. For this limitation, we need a swf to video converter, so that we can play back all our favorites videos with any media player. To convert swf to mp4 is quite easy, the only right thing you need to do is choosing a fast and easy converter. Gilisoft Video Converter is such a swf to mp4 conversion tool. The usage of Gilisoft Video Converter is very easy, just follow the guide below, you will find the easiest way to convert your swf to mp4. Gilisoft Video Converter is an all-in-one video converter that support most popular video formats. Details on more supported formats. Run Gilisoft Video Converter, click on the “Add Files” button on the left top of the main screen to import your SWF format source file. 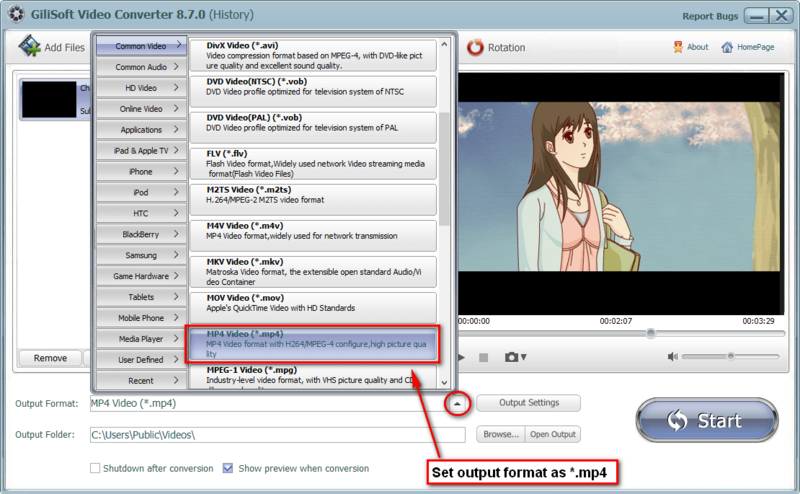 You can also simply drag and drop your SWF format source file into the main window of Video Converter. If you only need to convert your SWF file to MP4 format, just keep the output format as default. Besides that, Video Converter provides you with multiple output formats options, you can choose and set your expected output format. When finished, you can find the target file in the “Output Folder”.